The gym is open every day from 1pm till 9:30pm. Students are welcome to use the facilities any time a class is not scheduled. 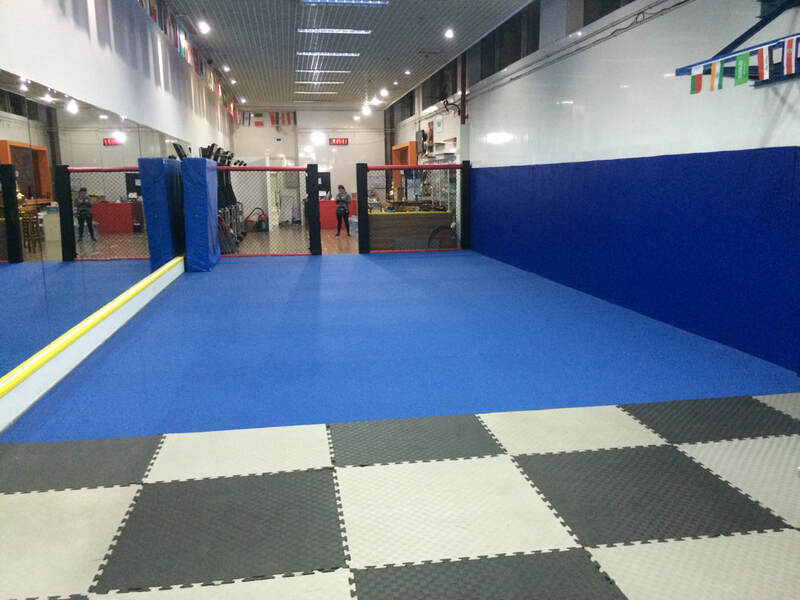 The gym has a large open mat (6cm thick with 2 layers of shock absorbing foam for maximum safety) Wall mats and cage panels, a boxing ring, heavy bags, double end bags, speed bag, Crash mat, gymnastics spotters, rowing machine, Squat Rack, Olympic barS, Oly lifting floor, trap bar, Swiss Bar, curl bars, bench, hundreds of kilos of FREE-WEIGHTS, bumper plates, jerk boxes, grappling dummies, gloves, focus mitts, Thai pads, sparring equipment, kettlebells up to 50kg, medicine balls, battling ropes, tires, men's & women's locker rooms, a pro shop, bottled water and beverages for sale, and a waiting area with tables and chairs. The Xuhui Gymnasium from the street. There is parking underground. The first floor lobby. Look to your left and you'll see the stairs. Go up the stairs to the second floor. Turn right down the hallway. 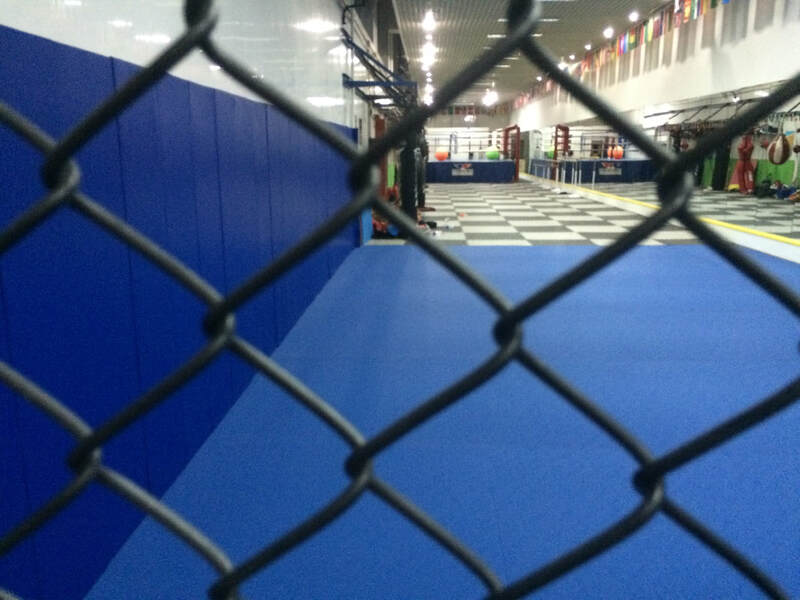 You'll see the entrance to the Gym. Come on inside! A variety of other martial arts classes are offered at the gym by several different instructors, including: Boxing, jiu-jitsu, Muay Thai, Taekwondo, Karate, Budo taijutsu, self-defense, wing chun, Krav Maga, and Filipino Martial Arts. for the current schedule & fees of these classes, please iNQUIRE at the front desk.